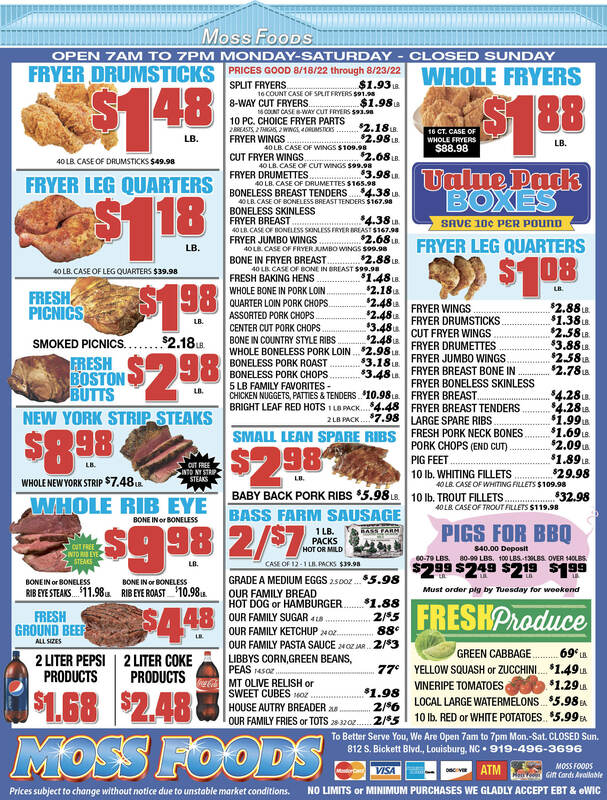 Showing 30 articles from January 9, 2019. LOUISBURG -- After more than a half century, Franklin County Schools are out from under much of a federal court desegregation order, although the district will face some restrictions through at least 2020. In late December, U.S. District Court Judge Louise Flanagan released her decision which significantly lessens federal oversight of the county's schools. 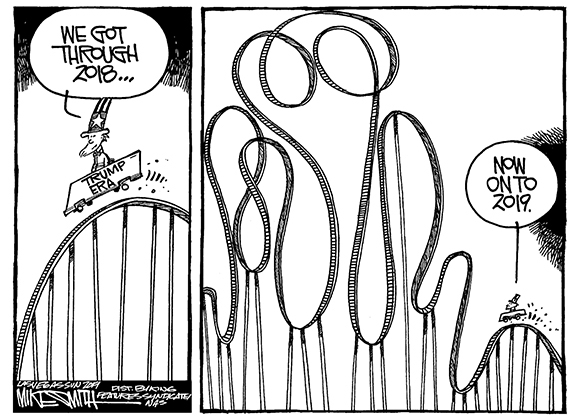 LOUISBURG -- To get money, you've got to give money. By a majority vote, the Franklin County Board of Commissioners did just that, agreeing to provide the 10 percent match needed for a $410,948.67 master layout plan for Triangle North Executive Airport. 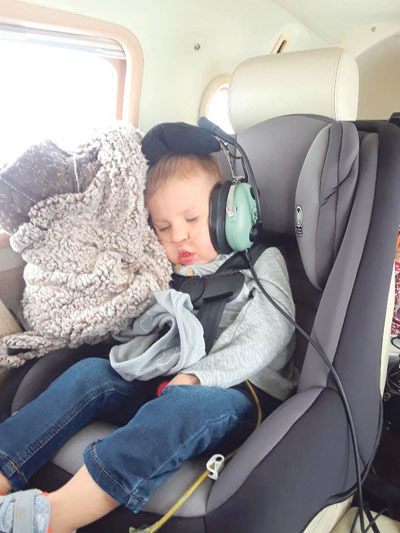 LOUISBURG -- Dawson Lunsford's voice ricocheted off the walls and filled Franklin County's airport with a crackle -- the sounds of a happy two-year-old. He was there with his mom and dad, Whitney and Jammie, as part of a planned stop between their home in Alabama and their ultimate destination -- Boston Children's Hospital. LOUISBURG -- A Zebulon man was sent to jail Monday on charges that he hit and killed a 59-year-old Youngsville woman in the spring of 2017. Prosecutors said Brandan Edward Avent hit and killed Doris Matthews during the early morning hours of June 11, 2017, leaving her for dead along the side of the road. Avent was given a 17-to-30-month sentence. DECADES OF SERVICE! Fire Association President Tommy Lloyd (left) presents William "Bill" Bailey his award. The Franklin County Fire Association awarded two veteran firefighters their coveted 'Fireman of the Year' award Tuesday evening. 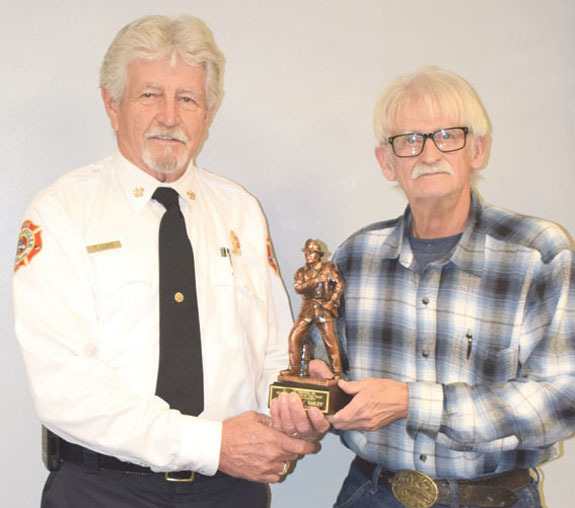 Saluted were long-time Louisburg fireman William "Bill" Bailey (in the photo at the left) who has been a fireman for more than 48 years and still has a percentage of calls answered that's "out the roof," according to Association president Tommy Lloyd, who presented the awards. The older I get, the more some things just don't make sense. Recently NASA's asteroid-visiting spacecraft Osiris-Rex did an eight-second thruster burn which inserted the craft into an orbit around the asteroid Bennu. We're soggy now but the law of averages will dry us out! Actually, we don't have a boat but perhaps we should have invested in one, especially during the last half of 2018 and the first days of 2019. The last several months have given us Tar Heels a little taste of what life must be like in Seattle, or London ... or, maybe the rain forest. Three people died of gunshot wounds over the holiday weekend; one the result of a more-than-week-old shooting in the southeast and two others during a double killing in the west end. You probably read that first paragraph and swore it was breaking news coming out of Durham -- especially after how the Bull City rang in 2019. LOUISBURG--Frances Journigan Smith, 74, died Saturday, Jan. 5, 2019. Funeral service will be held at 11 a.m. Thursday, Jan. 10, in the chapel of Bright Funeral Home, Wake Forest. Burial will follow at Red Bud Baptist Church cemetery in Castalia. FRANKLINTON -- The Peace Train continues to chug through Franklin County, picking up plenty of riders along the way. 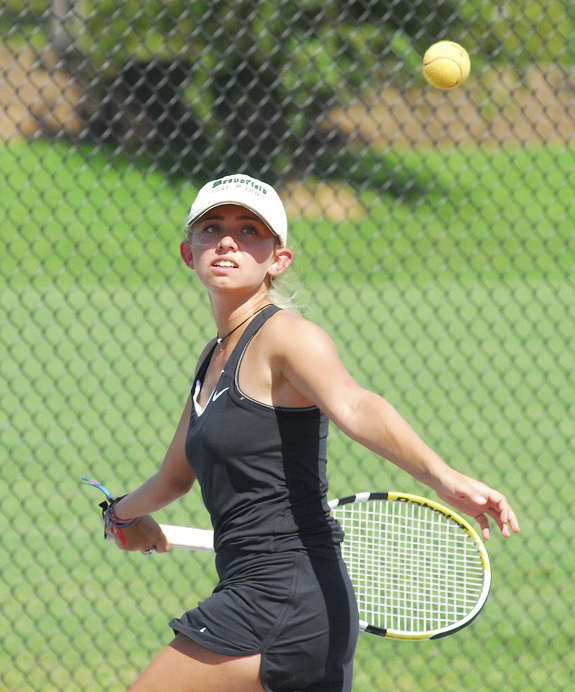 William Peace University, located in Downtown Raleigh, has become a popular destination for Franklin County student-athletes over the past several years -- and that trend shows no sign of coming to a stop. SUPER SOPH. Quay Mosley, a 10th-grader, has been exceptional this season for the BHS boys basketball team. 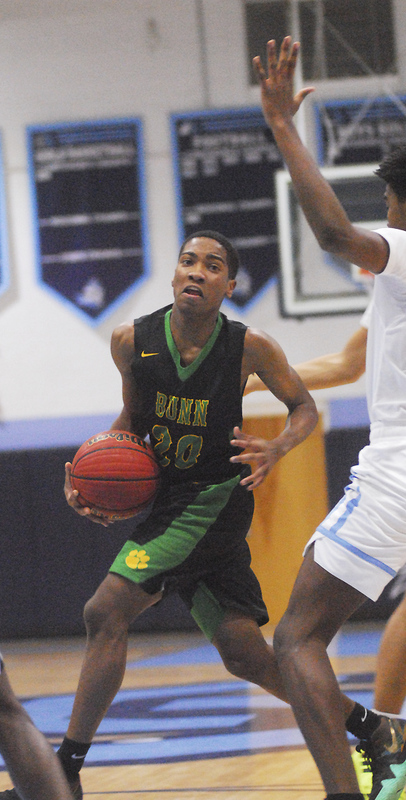 CREEDMOOR -- Positives were plentiful for the Bunn Wildcats during Tuesday's Northern Carolina Conference road boys basketball meeting at South Granville. 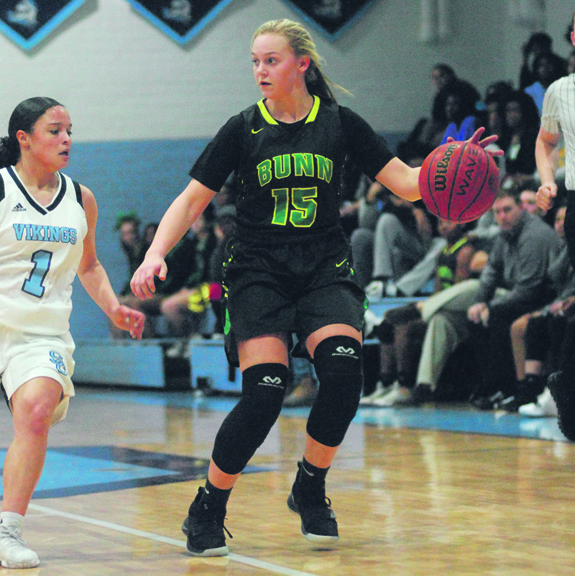 Bunn ran its offense with fluidity and precision and didn't seem intimidated by the highly touted Vikings -- to the point that the Wildcats trailed by just one point after the opening eight minutes of action. DRIBBLE DRIVE. Bunn's Mallori Darnell looks to make a strong move to the basket during Tuesday's contest versus host South Granville. CREEDMOOR -- Bunn is still seeking its first victory of the 2018-19 girls basketball season -- but it wasn't destined to happen Tuesday at Northern Carolina Conference opponent South Granville. BHS' hopes of coming out on the winning end were squelched early as the homestanding Lady Vikings used a strong full-court pressure defense to take charge in the opening stanza of action. 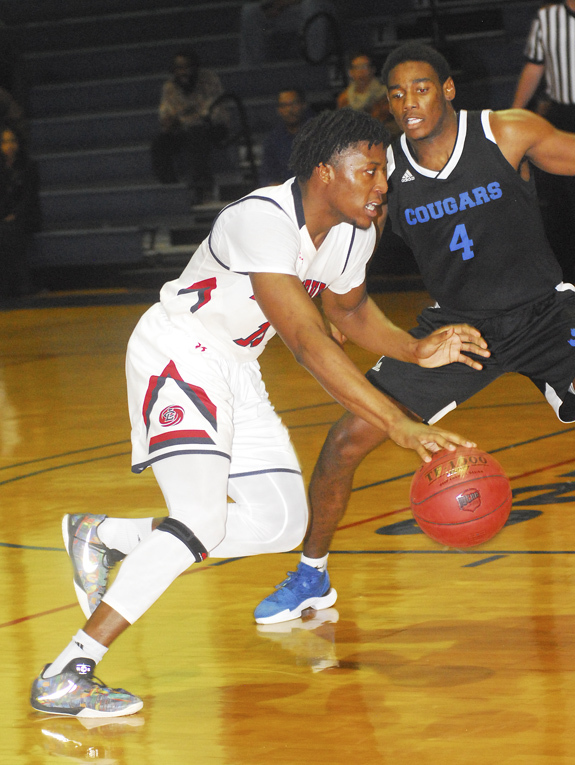 LOUISBURG -- Louisburg College found itself in a bit of a no-man's land during Monday's home men's basketball showdown against Central Carolina. Thanks to a strong start -- along with its superior talent and depth -- the Hurricanes never appeared to be in danger of losing against the Cougars. Then again, LC couldn't seem to put away Central Carolina, which seemed to have a threeball answer every time the Hurricanes were on the verge of pulling away for good. POINT TAKEN. Louisburg High School point guard Nolan Brown drives toward the basket during last Friday night's home basketball showdown against league foe Vance County. LOUISBURG -- Even though they are a Class 1-A team competing in a split 1/2-A league, the Louisburg Warriors continue to refuse to back down against some of the top squads in the Northern Carolina Conference boys basketball standings. 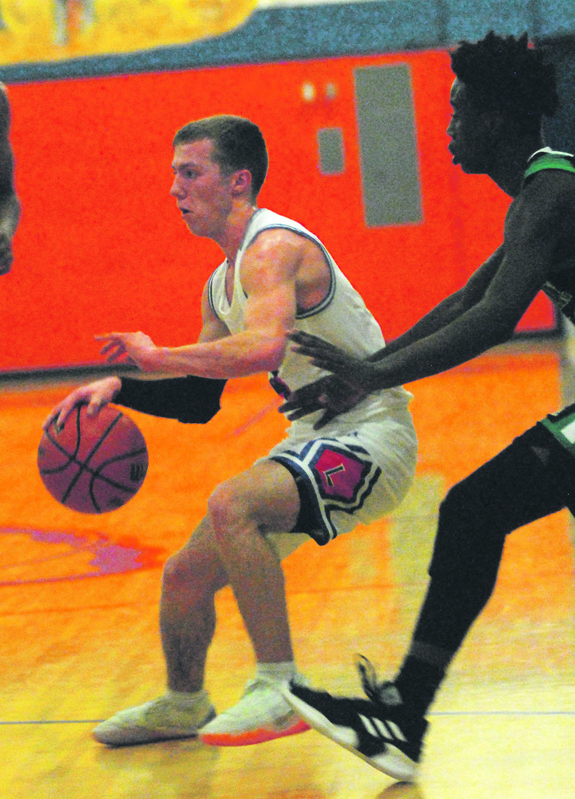 That enviable intangible was on display once again last Friday night at home as the Warriors entertained Vance County for a key NCC matchup at the LHS Gymnasium. Louisburg's Jada Branch (l) and Madi Leonard (r) surround a Vance County player during last Friday's Northern Carolina Conference hoops game at the LHS Gymnasium. LOUISBURG -- Louisburg High School has made tremendous strides within its girls basketball program this winter -- and even picked up three victories along the way as part of its rebuilding process. 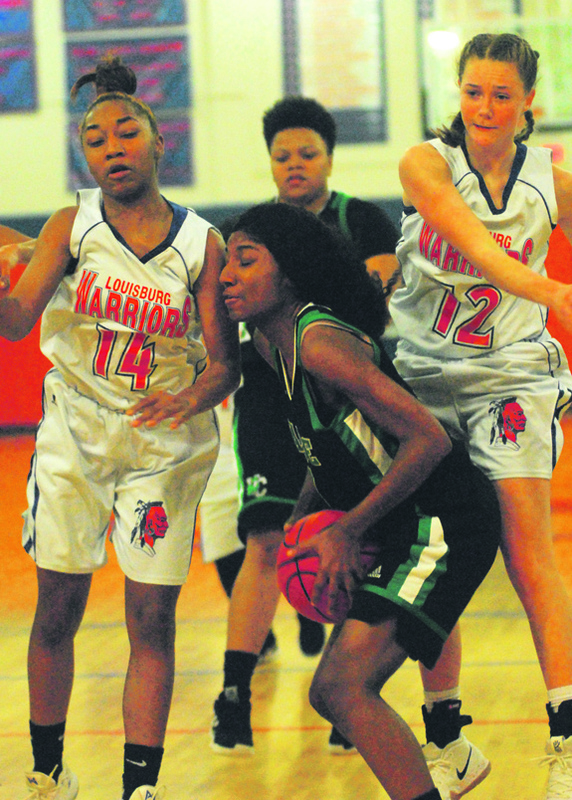 But LHS went up against a true titan last Friday as the Lady Warriors entertained the Vance County Vipers in Northern Carolina Conference action. WARREN COUNTY -- Local Kyokushin Karate fighter Christian Buffaloe is scheduled to compete in the Japan sponsored "2019 Kyokushin Karate USWC Championships" in Los Angeles on January 27. This elite championship features top-level Kyokushin Karate full- contact competitors from Japan, Russia, Eastern Europe, Australia, South America and Canada. WILSON -- Franklinton is once again part of the lineup for one of the state's most prestigious girls high school soccer events. FHS will be Franklin County's lone participant in the annual The Brittany Girls Soccer Showcase at Gillette Park in Wilson. The event is slated for March 8-9 and will feature top squads from across the region and state. The 2019 Franklin Regional Forestry meeting and tour will be Thursday, Jan. 17 (snow/ice date: Jan. 24), at the NC Cooperative Extension, Franklin County Center Annex. There is a $20 fee to participate. (Pre-register by Jan. 11.) 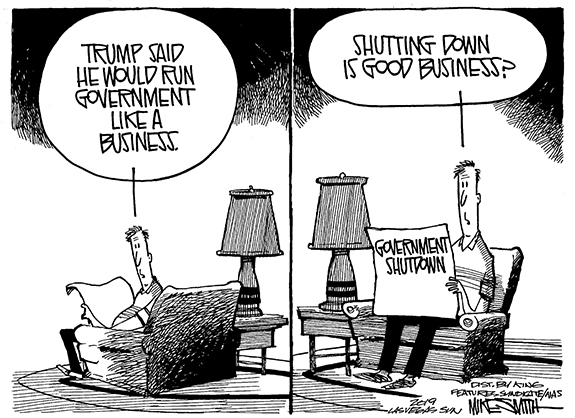 Pay by check or cash only. Horse owners in the area are invited to the annual "Horse Mini-Series" which will begin on Tuesday, Jan. 15, at the Franklin County Cooperative Extension Center, Annex meeting room. A sponsored meal will begin at 6 p.m. followed by the program on Trail Riding and Trail Etiquette. Imran Court No. 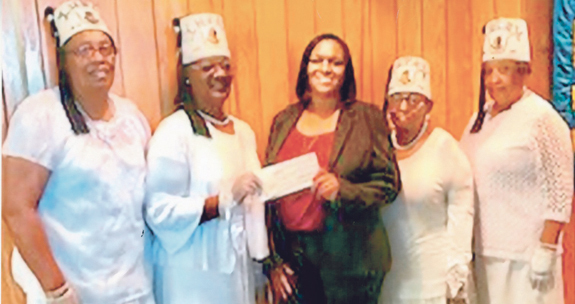 55, Oasis of Henderson, Desert on North Carolina, under the leadership of Illustrious Commandress Kimberly Alston, made donations to four area schools recently. 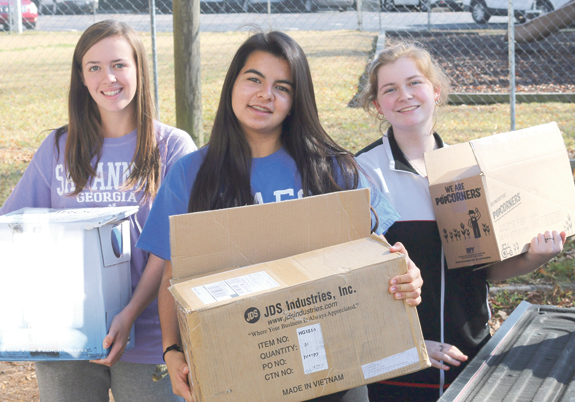 Franklinton Elementary School, Franklinton; Mary Potter Middle School, Oxford; Clarke Elementary School, Henderson; and South Warren Elementary School, Warrenton, each received money donations of $100 to be used as needed for the students and programs. Newly elected State Rep. Lisa Barnes was sworn in on Sunday at Middlesex Church of God. Barnes will serve District 7 in the House, which represents Southern Nash County and all of Franklin County. 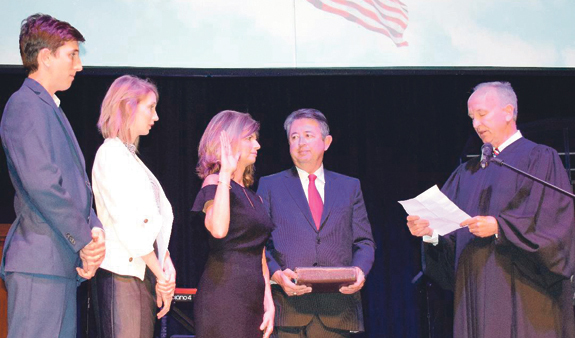 Shown here, left to right, are her son Joshua Barnes, daughter Jacy Barnes, State Rep. Barnes, her husband Johnny Barnes and State Supreme Court Justice Paul Newby, who administered the oath of office. Barnes replaces State Rep. Bobbie Richardson. LOUISBURG -- A Youngsville woman pled guilty this week to killing a 7-year-old in a hit and run. As part of the plea arrangement, Alix Feild won't be sentenced to her 5-year prison term until next month. According to authorities, 7-year-old Ronnie Tanner Vick, who was autistic, was walking along Darius Pearce Road at about 8 p.m. on Jan. 16, 2017. FRANKLINTON -- The firm that will help the town's Board of Commissioners select its new town administrator set a schedule for that process on Tuesday night. And the town's interim manager informed them of the steps he's taking to put the town in the best shape to move forward with a new town manager -- including restructuring powers at town hall and tweaking the town's finance and personnel policies. 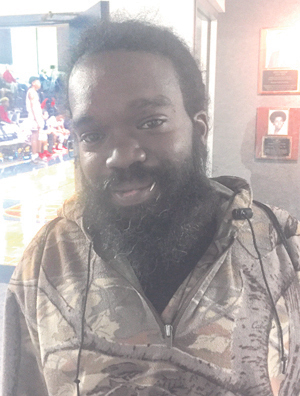 YOUNGSVILLE -- Marvin Roberts always wanted to help his neighbors, understanding what it meant to struggle, wanting to move the town along a path to prosperity. 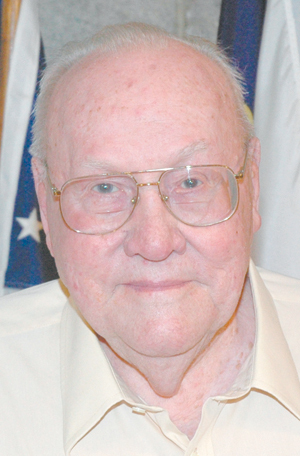 He did that through civic organizations, through his insurance business and through his service on the town board -- for more than 50 years. LOUISBURG -- A school resource officer had to use pepper spray, authorities said, to subdue a disruptive student at a local middle school this week. Paramedics were called out to Terrell Lane Middle School at about 1:30 p.m. on Jan. 7 as a precaution, said Louisburg Police Chief Jason Abbott. According to a school system spokesperson and Abbott, a student at the school became disruptive in class and fought with a school resource officer.